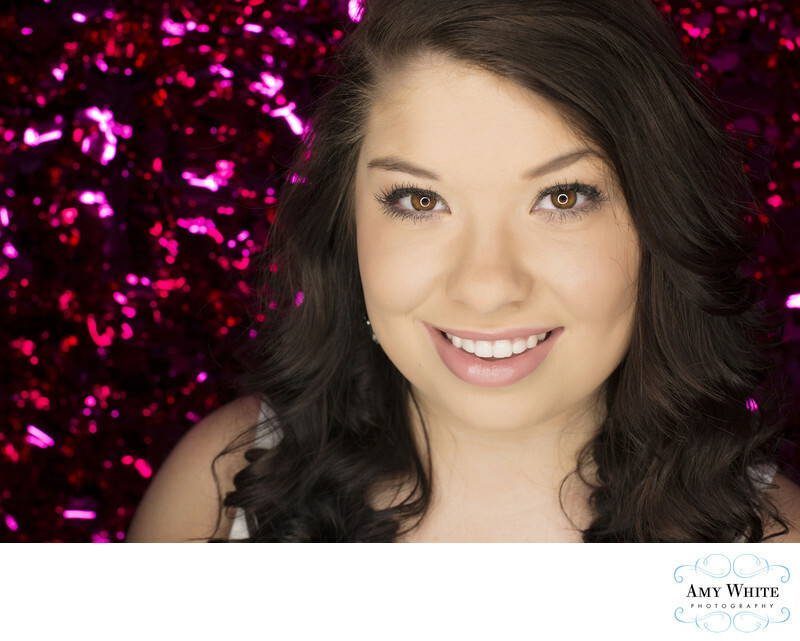 This was one of the first shots from this Linn Mar High School senior's photo session, and also one of her favorites! Mom told me ahead of time that she loved the color pink, so I had this fun backdrop set up and ready to go when she arrived at my Cedar Rapids photography studio. Check out her beautiful eyes! I used my awesome ring light to get those fun circle catch lights in her eyes. Senior photography should be fun! Keywords: Helberg_Jessica7.14 (3), Senior_Girl (3).